The Swami Vivekananda College Year 13 student is thankful to Flight Centre, a company based in Australia, for its generousity. “I’ve always wanted to compete on a road bike but I could not afford one,” said the 17- year-old. His dad, Percy, a former national cycling rep thanked Flight Centre for their help. 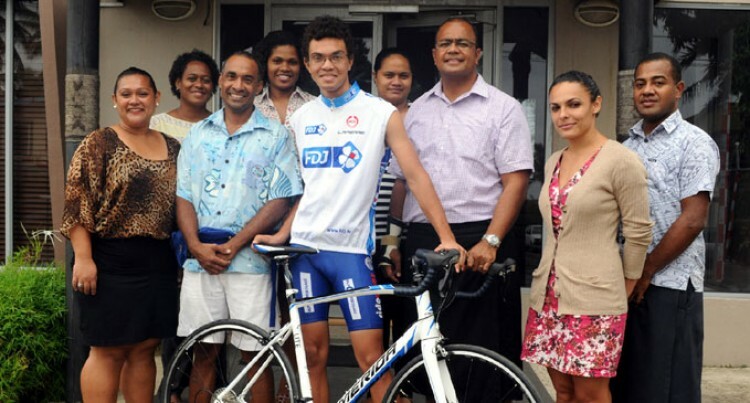 “I thank Flight Centre and Lucock (Nick) for their support and also Pacific Destinationz who have been supportive of the activities of Nadi Cycling Association. Pacific Destinationz’s managing director, James Sowane said, “Pacific Destinationz is the ground agents in Fiji for Flight Centre. I met up with Lucock last July in Brisbane knowing that he is a keen cyclist,” said Sowane. Sowane added that Lucock assured him of the support from Flight Centre. Team Nadi would like to thank their sponsors Summer Holiday, Restaurants including LC’s, Small Plates, Chan, China travel, DEO Associates and My Doctors. The Tour of Fiji is a three-stage race which begins from Nadi to Suva commencing today and ending on Sunday.